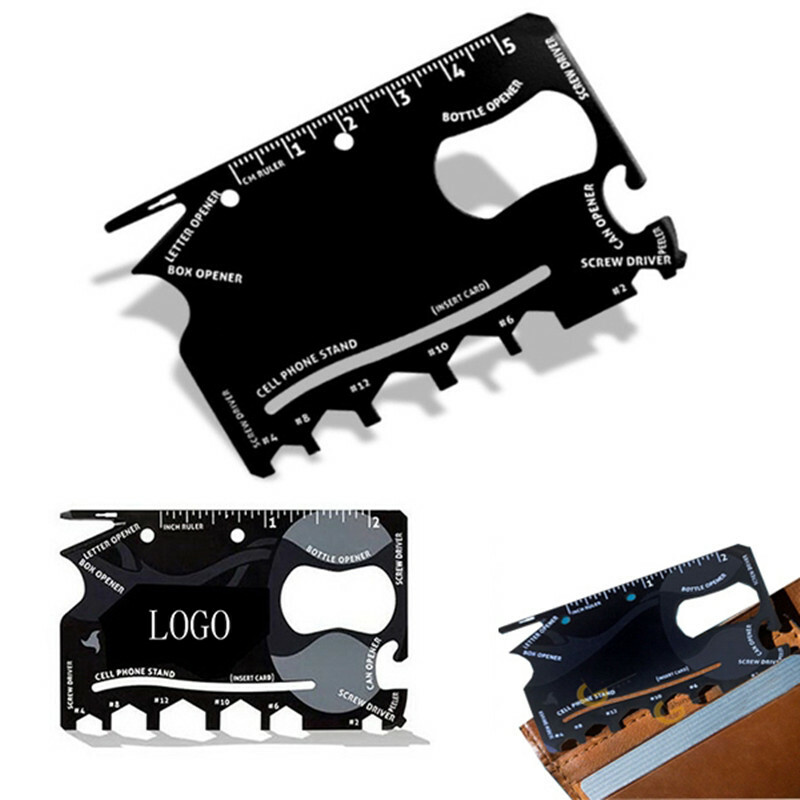 This 18-in-1 pocket card multi tool is made of stainless steel. Including 3 different screwdrivers, 6 hex wrenches, fruit peeler, can opener, bottle opener, box opener, ruler, phone stand and letter opener. Custom logo imprints are available. 3 1/6? L x 2 1/8? W x 2/5? H.
3 1/6? L x 2 1/8? W x 2/5? H.